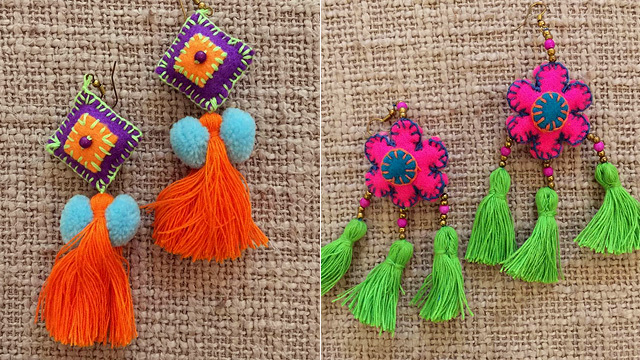 Fringe, floral, pompoms, name it, they have it! 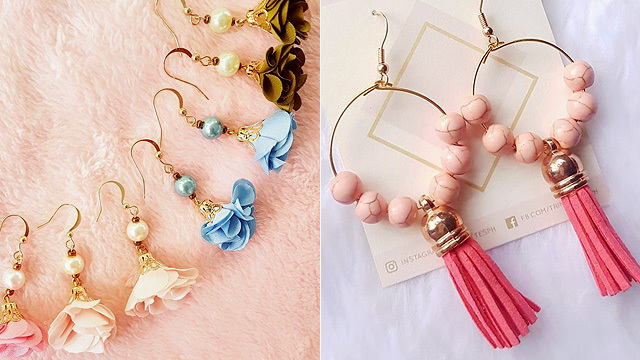 (SPOT.ph) If you go on your Instagram now, there is no doubt that the accessory having its moment are earrings—and by earrings, we mean pretty danglers so colorful and fun, they can blast the gloomy day vibes away. Because of this, more and more online shops carrying the trendy accessory are popping up left and right. Below, check out a few noteworthy brands along with their best offerings. 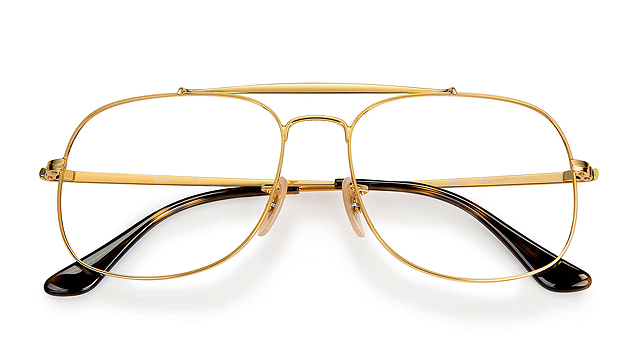 Fair warning: You're going to want to buy all of the pairs! The brand that we would dare say started the earring buzz in Manila is designer Ken Samudio’s Matthew and Melka. Those florals are to die for, which is why it also made waves internationally through his recently concluded trunk show at Bergdorf Goodman in New York. Shimmy away with these not-your-regular fringe or pretty drop petals. 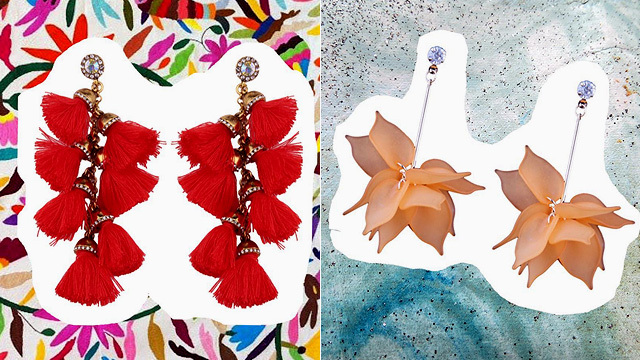 Whim PH carries some of the most festive (and quirky) pairs. 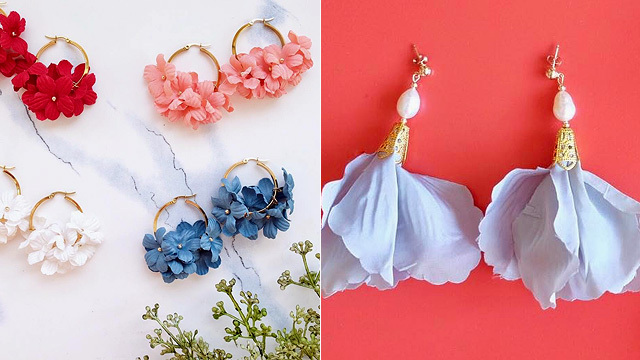 Take your pick between floral hoops and pretty petals! 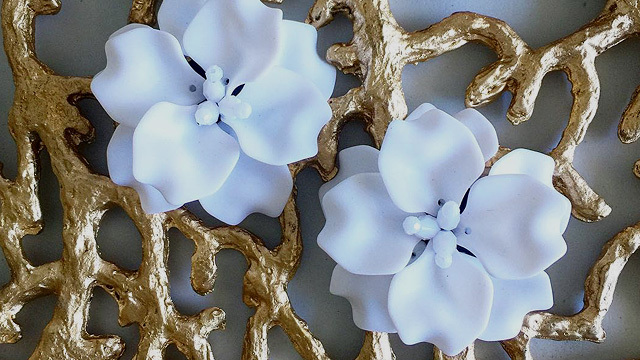 Lily Jewelry is where you can find unique designs perfect for that statement accessory. Earrings longer than your hair? Why not! 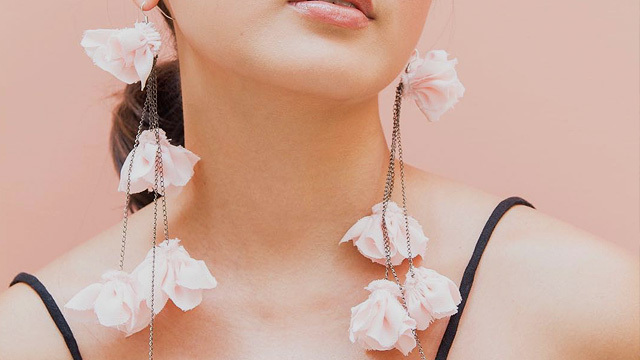 Wear Anika carries plain (but stylish) fashion pieces but their earrings are totally extra—in a good way, of course. 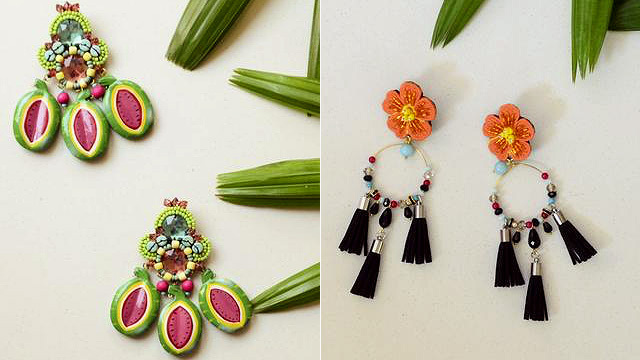 They have pieces that will flaunt your love for the tropics! Check out the entire collection on their website. How about some feather to go with your usual fringe? Neree Jewelry's delicate pairs are the perfect final touch to any outfit. Nothing beats a classic fringe! Get one in all colors for every occasion. 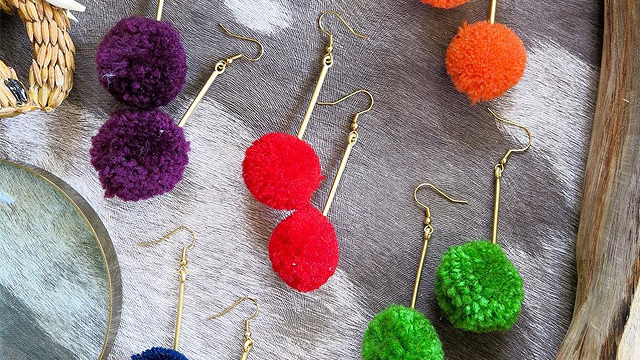 Because you don’t need to be a cheerleader to rock pompoms. 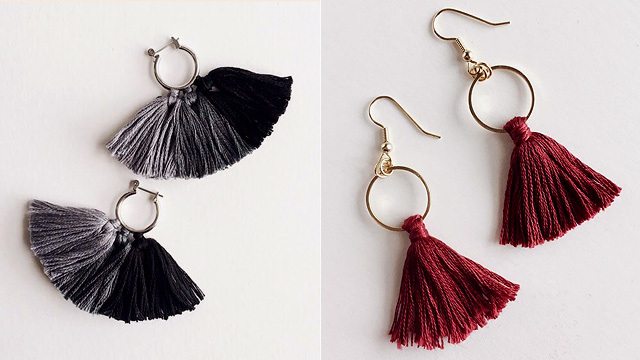 Heyjow carries a variety of dangling earrings: from tassels to pompoms, you're sure to find a pair perfect for your style. 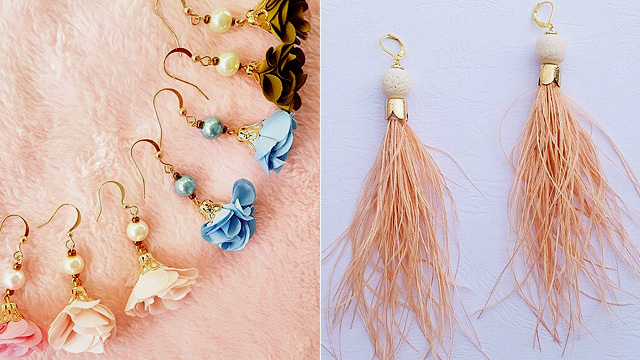 We can't get enough of the hoop tassels and petal love! Insert heart eye emoji here. These pairs will totally steal the spotlight! Want something a bit different? 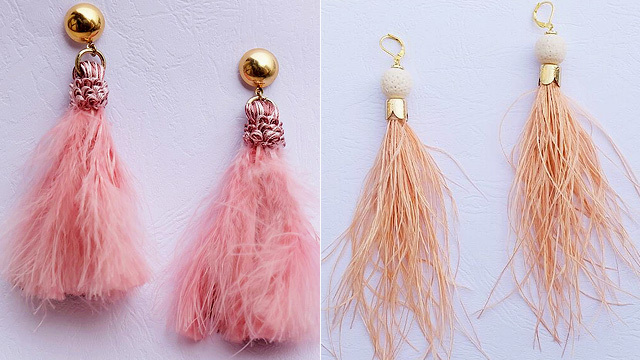 How about some pillow earrings with some fringe and poms? 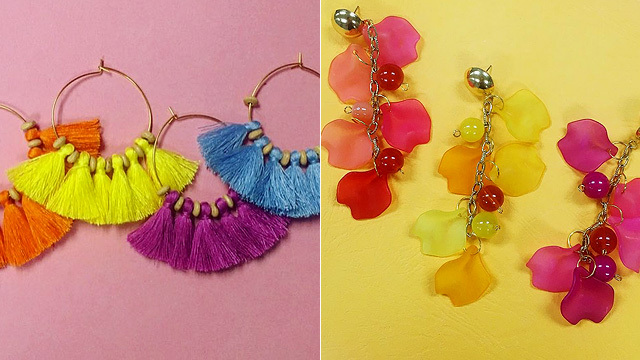 You'll turn heads when you wear Talyer Jewelry's vibrant pairs. For those who want to low-key join in the trend, these subtle dangling earrings are perfect to start with. 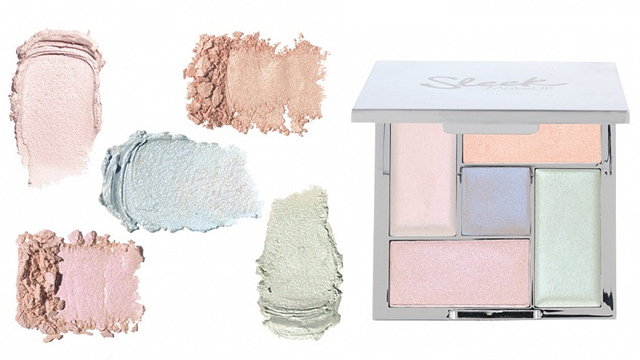 They have dainty pairs that you wouldn't be able to resist! 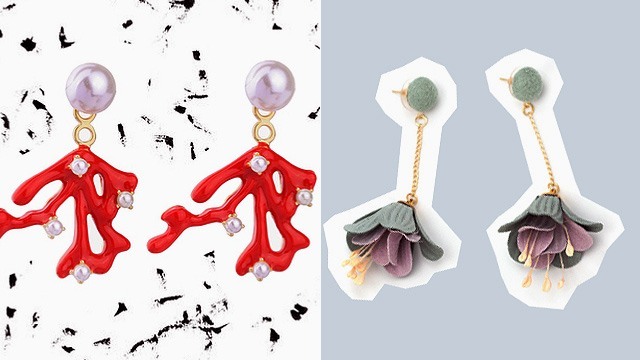 Add a cool new dimension to your look with these drop earrings that are inspired by the sea and the garden. 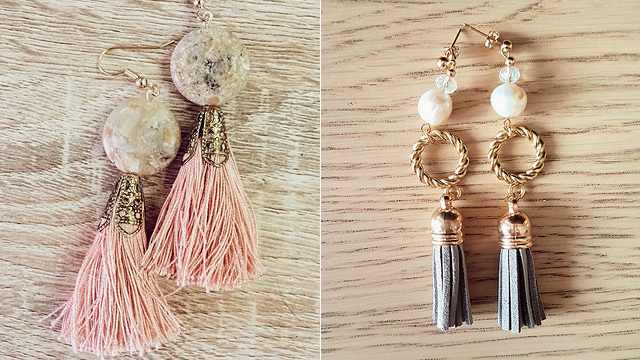 Shop Drop carries some of the coolest drop earrings that will give your look badass points! Simple yet bold, these neutral picks are pairs you can share with mom and pair with almost any OOTD. We particularly love the rose details and classic color combinations that Frida PH uses for their pairs! The folks behind Senorita MNL handcraft each and every pair! 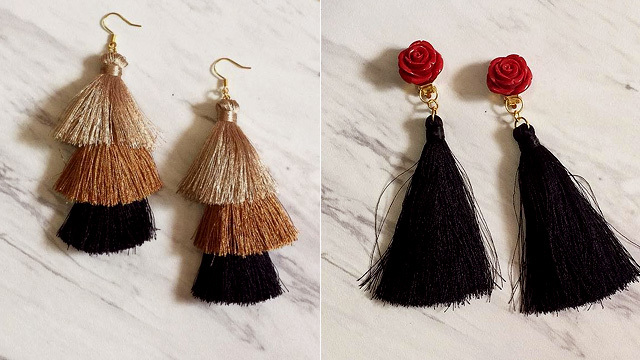 Their flirty tassel earrings come in very limited numbers and a lot of them are one-of-a-kind so you can be sure your very own pair is special (and made with lots of love).